Anta have a come a long way in the basketball shoe game over the years, but Klay Thompson remains their highest profile active player. 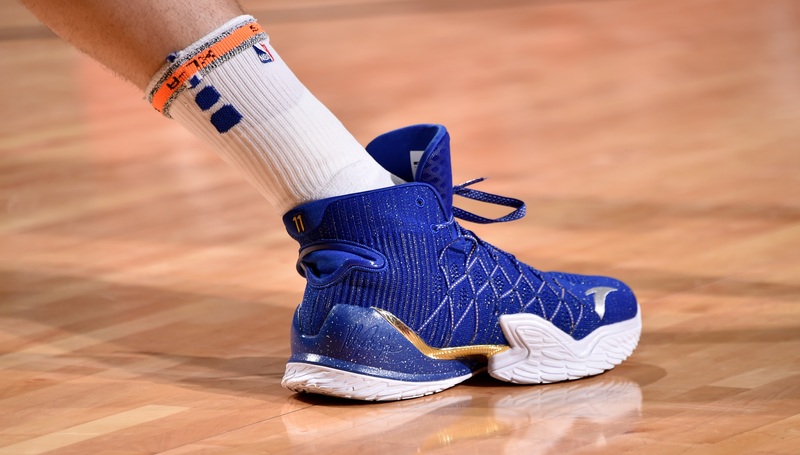 While Stephen Curry and Kevin Durant hog most of the limelight in Golden State when it comes to signature kicks, Thompson’s Antas have carved out space as a reliable, functional product. The Anta KT3 Playoffs builds on its predecessors and is, in our opinion, the best edition in Thomas’ line. If you already have the KT3, the Playoffs version isn’t going to offer much in the way of significant changes. But the subtle alterations make it an improved shoe, albeit marginally. Like the KT Light 3, the KT3 Playoffs have a lacing system that runs under midfoot and through the upper to give you a tight feel when you lace them up. This allows for a little bit more of a lockdown feeling – perfect for quicker players. The KT3 Playoffs also ditches the strap that was featured in the original KT3, which gives the shoe less clutter without losing any functionality. It’s a definite improvement, unless you were into the aesthetics of the strap. In terms of comfort, the KT3 Playoffs are right on the money. The Anta EVE system that has two foam pads at the heel and forefoot give a nice cushioning, allowing you to cut on a dime and jump without feeling any of the after-effects. When it comes to traction, the fingerprint-like pattern works like a charm. As long as you limit the shoes’ use to indoor play to keep the outsoles in good condition, the traction should last quite a long time. All of this comes without the need to break the shoes in. A lack of rigidity make them wearable right out of the box – a valuable feature for those who play sparingly. If you’re not familiar with Anta’s basketball shoes like we are, you may be reluctant to jump over from one of the big-name brands. But let us assure you, when it comes to value, the KT3 Playoffs deliver the goods. Plus, you’re likely to stand out from the crowd with a pair of kicks that few others will be rocking. For many outside of the true fitness fanatics, items other than a pair of trainers, shorts or a t-shirt (and maybe some music) may seem an unnecessary luxury serving only to distract from the job at hand, or even confuse. However, two weeks of testing the Fitbit watch will force a dramatic re-think on these Spartan principles. Other than its comparatively modest price tag, there are four key principles behind a successful piece of wearable technology; features, practicality, software and design. To sum up the Fitbit’s brilliance in one sentence; it has all the benefits of a fitness band, and at the same cost as the rest of the market, but with the added bonus of activity tracker functionality. While the internal accelerometer tracks steps and activity with deadly accuracy, Fitbit users can expect a whole host of extra useful data from the periods of time between each activity. 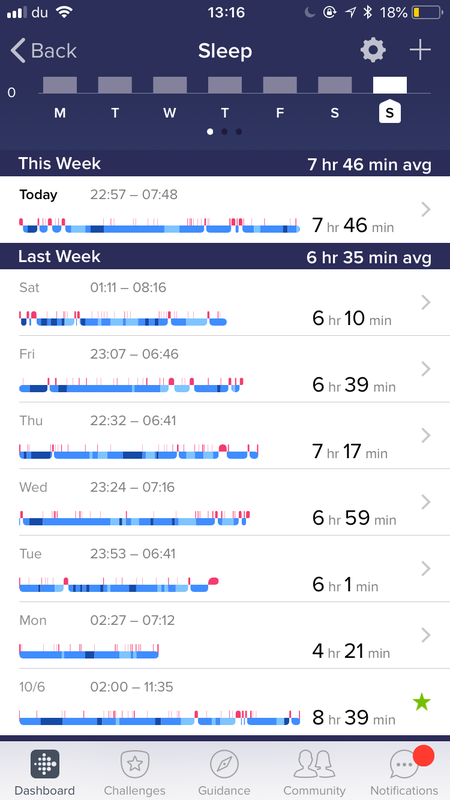 For example, the watch is able to work out when you’ve gone to sleep (including how deep or light your sleep is), meaning a more accurate analysis on your long term state of fitness. As you would hope from any wearable technology the unit is durable and hard-wearing. During the simmering UAE summer months, runners, cyclists and swimmers alike all exercise at night and the handy back light ensures that information remains highly visible. Similarly, when exercising in direct sunlight or driving rain, the high-contrast display makes for easy viewing. The watch is charged through a universal charging cable and synchronises easily with the app via Bluetooth, all the while remaining an incredibly slim and light device (39.35mm x 39.35mm x 11.24mm). The socket is water-resistant to 50m without its cover, which is sure to set the UAE’s growing band of triathletes’ tongues wagging. 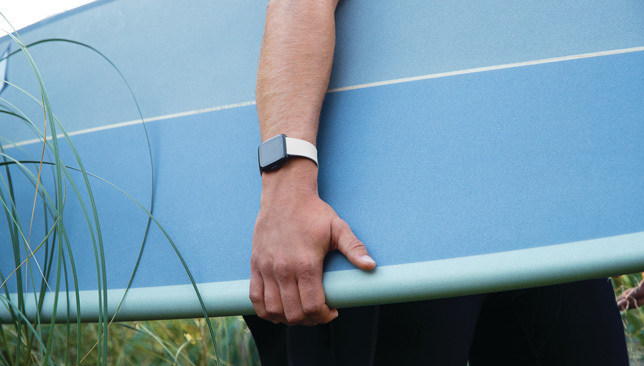 Technology can be intimidating at times but the Fitbit is user-friendly and easy to pick up. The all-important data is displayed logically and has space to breathe, rather than attempting to cram it all onto a single screen. Syncing via the Fitbit iPhone app is fast, so it’s worth making this a daily task to keep up-to-date with your steps and sleep. 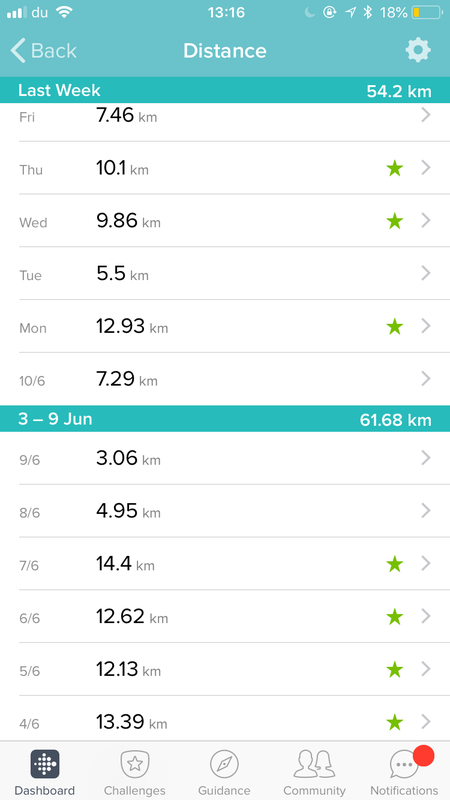 You can easily navigate through the app to a specific training session, then drop into a deeper level of detail comparing pace, heart rate, distance and calories burned. There’s also a range of smart coaching options which breakdown your session achievements, or lack of them. This analysis adds value without confusing users with rafts of complex data. 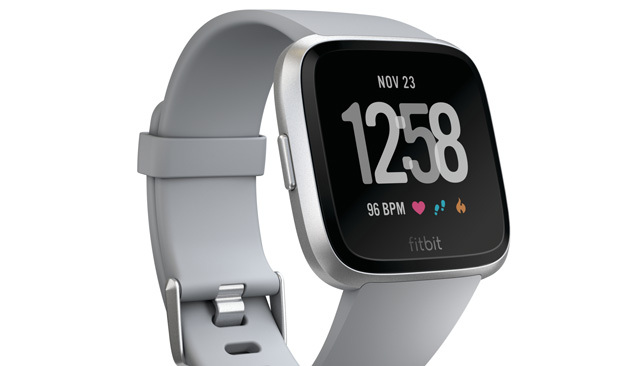 More serious runners and those who enter regular competitions may find the level of analysis a little on the basic side, but for new runners or people buying their first fitness watch the Fitbit stands head and shoulders above its competition in terms of value for money in this department. One of the key factors behind the unit’s success is that it is very stylish and comfortable – a rare feat for fitness watches. It’s a fresh design which masks its technological advances, while providing a screen big enough to clearly see what is happening while out and about. The dot-matrix style is not the most interesting interface in the world to look at but it does the job adequately and ensures that the battery isn’t drained too quickly (it lasts approximately four days and charging from 0-100% lasts two hours). The back of the case is stainless steel, and the micro-USB connection ensures that the charging port is not cumbersome or an aesthetic eye-sore. It also provides an array of vibrant colours, the staple black, white, pink and gray offerings should ensure that most runners find a good match. 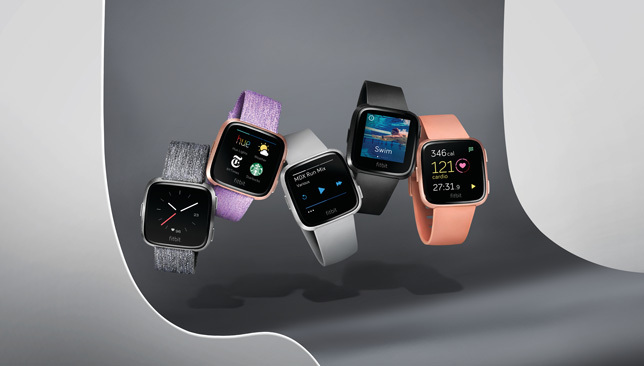 Part fitness band, part GPS watch, Fitbit have created a surprisingly functional device, providing a high level of analysis for the equivalent price of a top-range fitness band. This value for money, coupled with its versatility across a range of sports, means that the needs of all fitness enthusiasts from beginner to semi-professional level are well catered for. Far from being a distraction, smashing personal best times has become routine and running without the watch now just feels wrong. We rate it: 9 out of 10: Good-looking, comfortable and useful, this watch has redefined value for money. The Gel-Kayano 25 is an exceptional running shoe that combines innovative performance and style, marking yet another coup in Asics’ long history in producing some of the best footwear in the market. Having competed in many half marathons over the past three years, these runners up there with the best I’ve used so far. Not only are the Asics’ breathable but they are designed for the long-haul, meaning they won’t tear apart like other shoes over a short space of time. 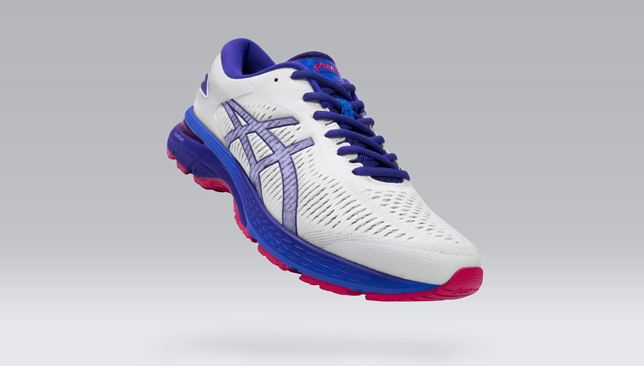 What strikes me about the Gel-Kayano 25 is how the cushioning softens the impact while you run. Other shoes don’t offer enough support so your feet always feel heavy when you land. With the cushioning on offer in this model, you can run with comfort and confidence. Overall, I was extremely impressed by the Gel-Kayano 25’s comfort and support – and I would definitely recommend them for any runner pounding the pavements in the UAE. WHAT ARE THE NEW AND IMPROVED FEATURES? 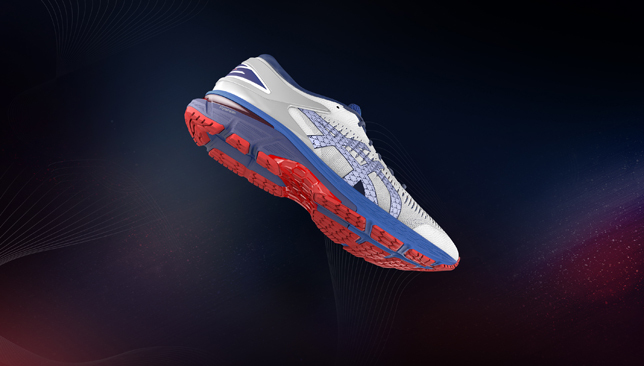 FlyteFoam Lyte is the next generation of ASICS lightweight and responsive cushioning technology . The midsole formula features a reinforced, sustainable nanofiber compound which increases the foam’s durability and provides more stability for runners. 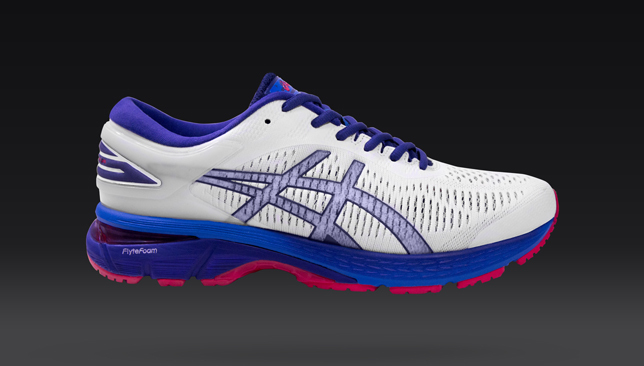 FlyteFoam Propel is ASICS’ newest patented foam formulation designed to provide enhanced responsiveness in toe-off. Used in parallel tandem with the strategically-placed ASICS GEL™ technology, the GEL-KAYANO™ 25 works with the runner’s foot to provide superior shock absorption. All-new Two-Layer Jacquard Mesh Upper offers a breathable, premium fit that improves flexibility and decreases irritation-causing wrinkles while maintaining lightweight—which means the runners will look as good as they feel.